Full 6 piece band of drums,bass,lead guitar and keyboards along with our male and female lead singers so we can accommodate all styles of music for any audience young and old. we a dublin based band and have been established on the wedding and event circuit in Ireland since 2013. 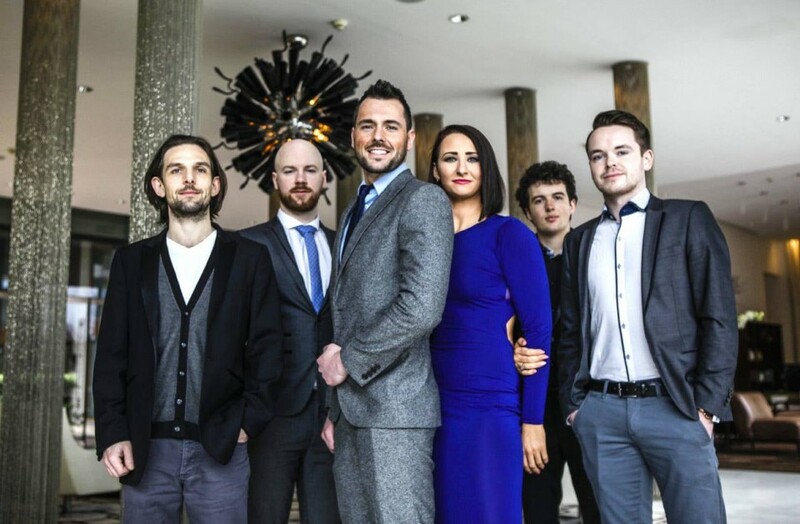 Since winning first prize at the Event Industry Awards in 2014 the band have gone from strength to strength traveling the length a breath of the country performing at countless weddings and events. Described as the best wedding party band in Ireland and Winners of the best corporate entertainers prize at the Event Industry Awards 2014. House Party are guaranteed to bring an energy and atmosphere to your wedding day celebration like no other band in Ireland. Led by the hugely charismatic Andrew James and Alison Daniel on lead vocals, this band can provide music for every part of your day from a DJ to church services and drinks reception to the full blown after dinner House Party experience, performing the greatest songs from the 80’s 90’s right up to today’s biggest chart hits. Make sure you give your guests the very best and book House Party today.